Welcome to my cookbook Cookerypoint - Ila's Kitchen. Hope all are doing good. 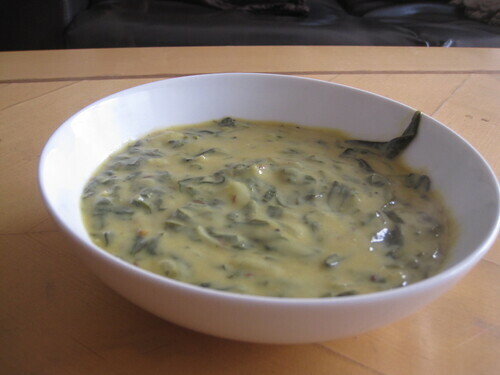 Today recipe is Palak Kadhi from US Masala. Though i like yogurt , never tried those in gravy as am from South. So I wanna try this recipe from Aipi's blog. We liked it very much . 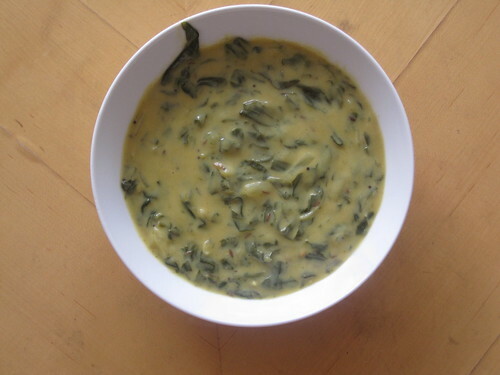 I heard of okra and varieties of Kadhi but Spinach is new to me which is healthy. So , I gave a try and it came good. Thanks to Aipi for sharing this recipe...I did this recipe as directed by Aipi's post. So, Please click Palak Kadhi for the original recipe from US Masala. I am sending this recipe to Tried And Tasted Event hosted by Mharo Rajasthan owned by Lakshmi of Kitchen Chronicles. See you guys in my next post. Love that healthy & creamy bowl.Looks so delicious. I too tried Aipi's recipe and loved this kadhi... yours looks great..
very healthy palak kahadhi.loving it. I love kadhi recipes so much, delish. I have tried with bitter-tasting greens like mustard/collard greens, must try with palak too...looks incredible. delicious and healthy dish..you have wounderful space.. Thanks for the encouraging comments..